In 1833 a new parish church was erected to serve the growing population of New Cumnock and the original church ceased to function in that role and then quickly as the Auld Kirk it soon fell into ruin. 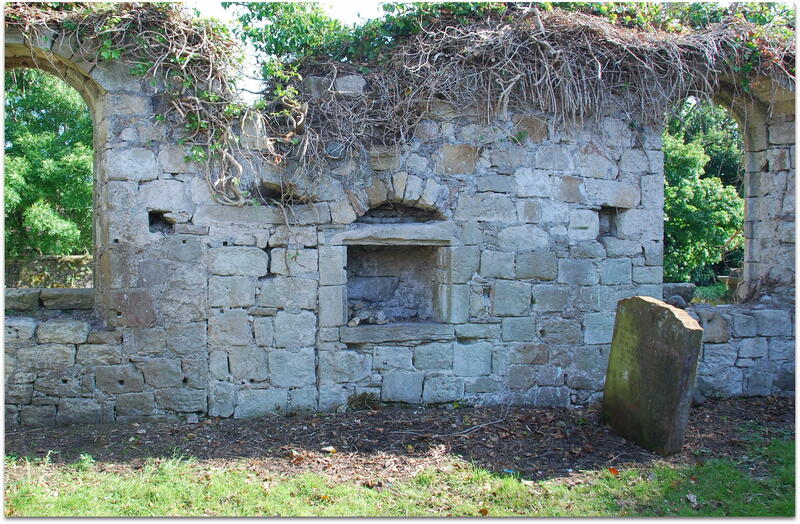 The kirkyard continued to be the final resting place of parishioners for some considerable time after and with space at a premium, the ground within the walls of the Auld Kirk was put to good use. One of the headstones within the ruin is that of George Brown, who in December 1846 ‘lost his life in the Mansfield Coalworks‘. 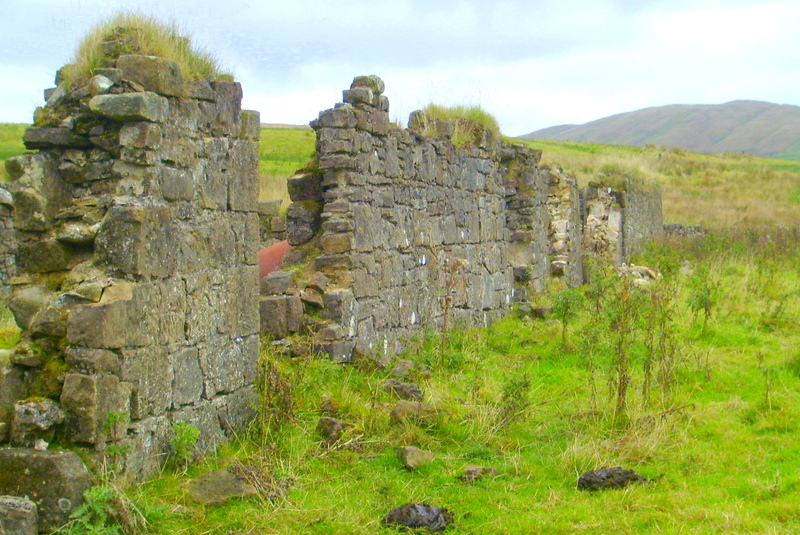 Although the early coal barons had been working the coal measures across the parish of New Cumnock since the late 18th century George Brown’s death is thus far the earliest recorded mining fatality in the parish that has been found. In the 1841 Census, George (30) ,his wife Margaret Millar (25) are found at Mounthope. a mile of so to the south of Mansfield Colliery with their New Cumnock born children Thomas (5), John Millar (3) & William (1). A year later, a daughter Elizabeth was born and three years after that another daughter, Jean saw the light of day at Mounthope. 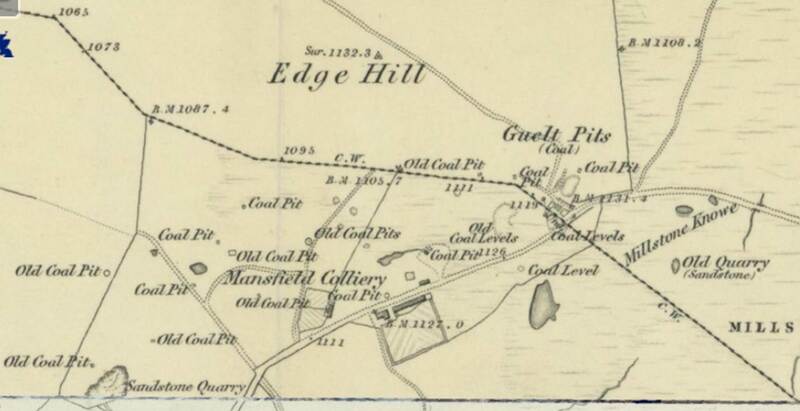 At this time George is working as a Tile Manufacturer, likely at the clay pits in the Mansfield land , along with three other young men also living at Mounthope – John Williamson, James McGilvery and George Porter. Five years later, he is working as a carter at Mansfield when he loses his life on 22nd December 1846, his tombstone recording that he was 42 years old, indicating he was born in 1804, which differs slightly from that of 1811 as suggested by the census information. This latter date is nearer the mark for he was born on 12th July 1810 at Perth, the son of Thomas Brown , weaver and Jean Miller. His parents moved the family to New Cumnock and in the 1841 Census Thomas (78), Jean (68) and daughter Margaret (25) are found at High Linn in the upper reaches of the Mansfield Burn, where the elderly Thomas is working as a bower. It was here in 1836 that Thomas junior had been born. 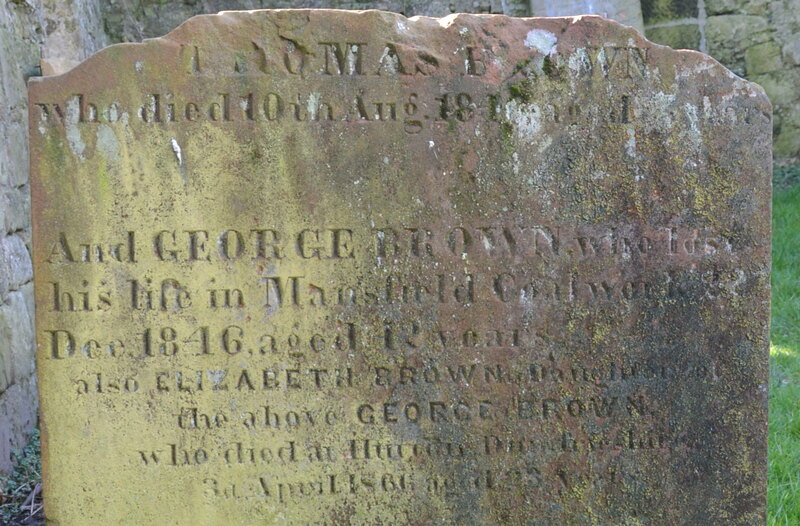 Thomas Brown, died on the 10th August 1846, aged 83 years and was buried within the ruins of the Auld Kirk. Four months later his son George was killed at Mansfield Colliery, aged 36 years (and not 42 years as recorded on the stone) and was laid to rest with his father, leaving behind his wife Margaret and five children aged between 1 and 10 years old. George’s daughter Elizabeth moved away from the parish and worked as a dairymaid in Hutton, Dumfriesshire. Sadly she died at the young age of 25 years old and lies here in the Auld Kirk with her father and grandfather. 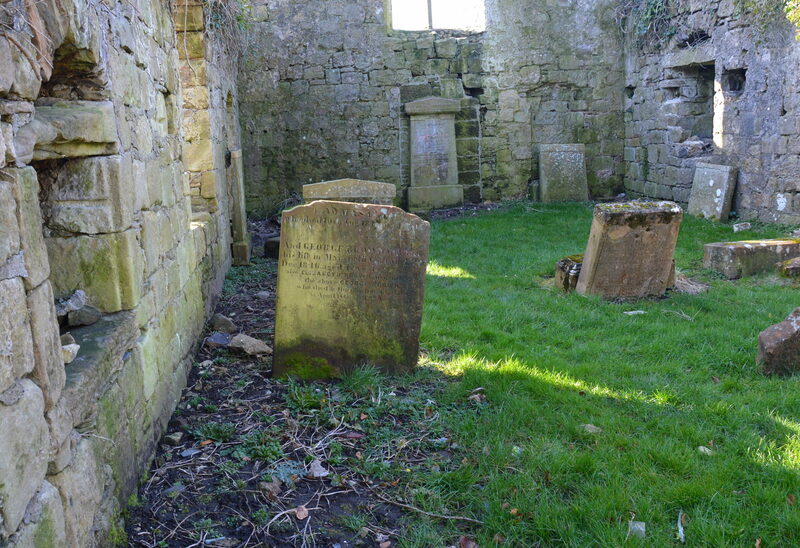 It is fitting that George Brown, the first recorded mining fatality in the parish that we know of, lies within the ruins of the Auld Kirk which ceased to function as a church at the time New Cumnock’s transformation to a mining community took hold. This entry was posted in Headstones and tagged Auld Kirkyard, New Cumnock. Bookmark the permalink.